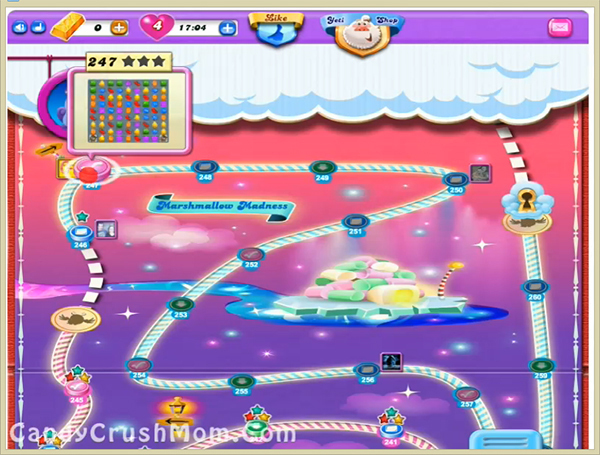 This level have normal difficulty and you need to break orders by breaking single color candies. For this level you need to play from bottom by breaking chocolates in every move so they wont increase plus try to make colorbomb. Use colorbomb with any normal candy that is in order while balancing the Odus owl. Try to play till last move as moon will struck and could complete orders. We completed this level with 96200 score using same trick that we written above and got three star score at the end of the level.